Most Americans have heard of the Affordable Care Act (ACA), also known as Obamacare. The official name of this legislation is the Patient Protection and Affordable Care Act. First passed in 2010, the ACA provides healthcare coverage for millions of Americans. Under the legislation, doctors and hospitals were required to adopt strategies to deliver improved health outcomes and lower costs. 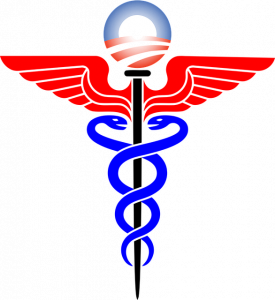 The primary goals of the ACA were to reduce the costs of health care and expand health insurance coverage. The legislation also expanded the Medicaid program to provide coverage for all adults who’s income is below 138% of the federal poverty level. Since the implementation of the ACA, the number of individuals in the American cities, such as Austin, without adequate health care coverage has dropped significantly. The Congressional Budget Office noted during their evaluation of the legislation that the ACA would decrease the budget deficit. The CBO also noted that repealing the ACA would result in increasing the budget deficit. The ACA delivers several protections for all Americans. First, the law requires that insurance companies cover anyone with a pre-existing condition. This includes pregnancy. The Act prevents insurance companies from charging more for this coverage. Everyone receives free preventative care and young adults can stay on their parents’ health care insurance plan until age 26. The legislation also ends yearly dollar limits and lifetime caps on the amount of coverage provided for essential health benefits. The ACA also holds insurance companies liable for any insurance rate increases and provides tools to help individuals understand their coverage. It is also illegal for an insurance company to cancel health care coverage if an insured person becomes ill. The insured can choose their doctor and are often able to keep their own doctor even if they change coverage. It also protects employees from retaliation if they file a claim for healthcare reimbursement. The ACA was the most sweeping reform of the healthcare and insurance industries since Medicaid and Medicare in 1965. Most of the cost savings occurred in Medicare, while the largest gains in healthcare coverage occurred as Medicaid expanded. There are regulations that impact employers and some that affect how health care is delivered. To help certain low-income individuals receive health care insurance, the federal government provides subsidies to help with the cost of health insurance under the ACA. Additionally, certain small businesses are also eligible to receive government assistance to pay for health insurance for their employees. This assistance is in the form of refundable tax credits. If your child is preparing to attend college, they should fill out the FAFSA. Formerly known as the Free Application for Federal Student Aid, this is a form that must be prepared every year in order for your child to receive federal aid. Both undergraduate and graduate students must complete the form so the federal government can determine their eligibility for student aid. All colleges use the FAFSA and every college your child is considering should be included on the application form so the college has the necessary information they need to process your student’s application. Even if you or your child doesn’t believe they are eligible for financial aid, they should still complete the FAFSA. Everything can be done online and the application is pretty user-friendly to complete. Before the FAFSA can be processed, either you or your child must complete last year’s federal tax return and input the information on the form. There is a link directly to the IRS if you don’t want to take the time to manually input the information. 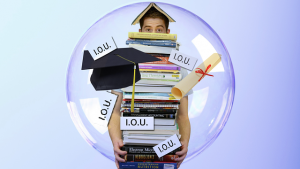 The type of financial aid offered will depend on either your or your child’s income. If you claim your child on your federal tax returns, your child will not be able to use their income. This can impact the amount of aid offered to your child. The results of the FAFSA review also determines if your child is eligible for low-cost student loans or other types of financial aid such as the Pell grant. The FAFSA asks for both student and parent information as long as the student is unmarried and under age 24. The information required includes assets, income, and demographic information. The information must be accurate and up to date when the FAFSA is filed. Each school year, the FAFSA is updated which is why a new version must be completed every year. Once the FAFSA is completed and successfully submitted, it is reviewed and the Expected Family Contribution is calculated. This is the amount that a family is expected to contribute to a student’s costs for college. This number is independent of a specific college and is used by all colleges. The colleges use the FAFSA to both determine the amount of aid a student may receive and to calculate if a student can receive any of the college’s own funds. A student will receive their score anywhere from one to three weeks after submitting the FAFSA.